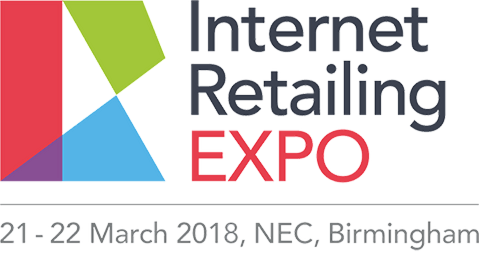 LONDON, 20 December 2017 – InternetRetailing EXPO, Europe’s leading event for digital and multichannel retail returns to the National Exhibition Centre (NEC) in Birmingham on 21-22 March 2018. This year’s event will have a strong focus on omnichannel, with a programme that encourages attendees to explore how they can extend online success to deliver the type of frictionless customer experiences that have been proven to win customer loyalty and additional sales. Sam North, Portfolio Director for InternetRetailing Events, commented: “Black Friday 2017 saw online sales overtake the high street for the first time, with £1.4bn taken on the Friday. However, standing out in a competitive sales period like this isn’t just about who has the best promotions. The biggest differentiator can often be the customer service you deliver. Effective omnichannel; making it easy for customers to communicate, select, buy, take delivery and return, as they wish to, no matter which channel they’re using – mobile, desktop or in store. Omnichannel is the future of retail, and retailers not embracing it will stay behind.